And lo – another year has come to an end. I know it’s cliche to say…but I honestly feel like it was only a few weeks ago that I was coming home from a day in DC to catch the premiere of Sherlock and really start 2017 off with a bang. And now it’s the last day of 2017. I feel that time passes so much more quickly with each passing year and while I know that isn’t actually how time “works”…I swear! And now that you’ve enjoyed this photographic overload – there is only one thing left for me to say! Happy New Year! Here we find ourselves – at the end of another year. I can’t believe how quickly this year has passed! It’s been filled with plenty of good movies, tv shows, books, music and more…so for the final month of the year, read on! A Dance of Dragons by George R.R. Martin – The fifth book in the A Song of Ice and Fire series; I am about halfway through this one, I hit pause on it to read some other things. I’m sure I’ll pick it back up at some point…only time will tell. It’s not like I haven’t read it before! The Princess Diarist by Carrie Fisher – A look behind the scenes of the filming of the original Star Wars trilogy; this book was fascinating because it also gives the reader a good look inside the mind of Carrie Fisher. The book provides a hilarious, juicy and from time to time sad look at how Carrie’s life was altered forever when she was cast as Princess Leia. Elizabeth the Queen: The Life of a Modern Monarch by Sally Bedell Smith – I only just started this book but so far I’m intrigued! It’s the most highly recommended biography about Queen Elizabeth II and I can’t wait to read more! My Husband & I: The Inside Story of 70 Years of the Royal Marriage by Ingrid Seward – Another book about QEII; although this one includes Prince Philip as well. This is next on my reading list after finishing Elizabeth the Queen! And yes…a lot of the books I ordered way back in the summer are still waiting to be read! I’ll get to those in 2018! Outlander – The third season of Outlander ended in mid-December with quite the dramatic final episode. There was mystery, suspense, murder, romance and a hurricane that landed our favorite duo on the shores of Georgia…in the American colonies! I can’t wait to see what season four has in store – I think this third season was my favorite so far! The Crown – What a tremendous “season” of television! I didn’t make it through all ten episodes in a weekend like I did season one…it took closer to a week this time, ha-ha! Claire Foy, Matt Smith and Vanessa Kirby are absolutely outstanding and I’ll certainly miss their portrayals of Elizabeth, Philip and Margaret going forward – if you aren’t watching The Crown, I highly suggest you give it a viewing. You won’t regret it! Gunpowder – The BBC miniseries about the failed gunpowder plot of 1605 that made it’s way to HBO the week before Christmas; it provided an interesting look at a moment in British history that I don’t know much about…beyond the oft quoted poem. The show was a bit graphic at times – but then, life in England in 1605 was pretty graphic – I altogether really enjoyed this and highly recommend it to anyone interested in English history. 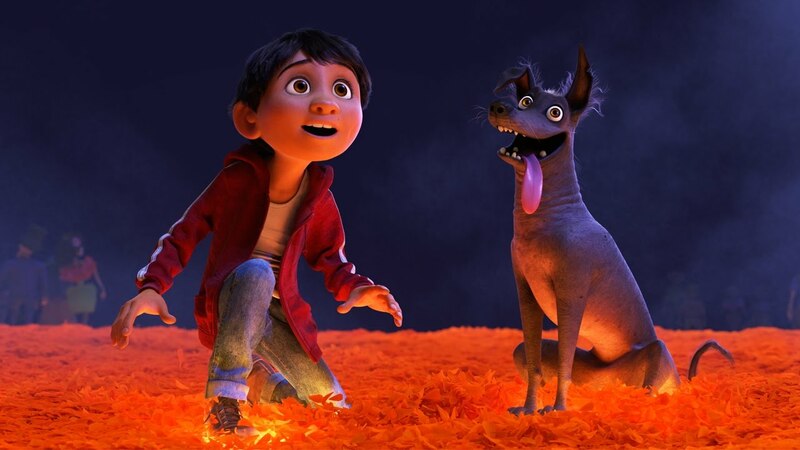 Coco – This movie was spectacular! I cannot say enough good things about this movie! I went in with 0 expectations because I honestly wasn’t sure what to expect – but the movie is funny with charming characters, wonderful music and some especially touching scenes. I will be purchasing my very own copy when this comes out – it was such a great movie…and the colors…oh my gosh! Go see this if you still have the opportunity! Italian food at the start and end of the month, delicious Irish and Cajun fare sprinkled in, a crazy rich cake that I crafted for my Mom’s birthday and some divine down home food. December was a month full to the brim with good food – but then, that’s nothing new! And I don’t even have pictures of the Christmas Eve brunch goodness and the numerous sweets and savories that were snacked on throughout the Christmas break! All things Christmas music – of course! Especially anything performed by Pentatonix! I also got very interested in the Renaissance English History Podcast; it is literally a woman talking about Tudor England, anything and everything to do with the period and I find it absolutely fascinating. I’ve been binging(sp?) (this is not a word – weird) episodes of this all month! 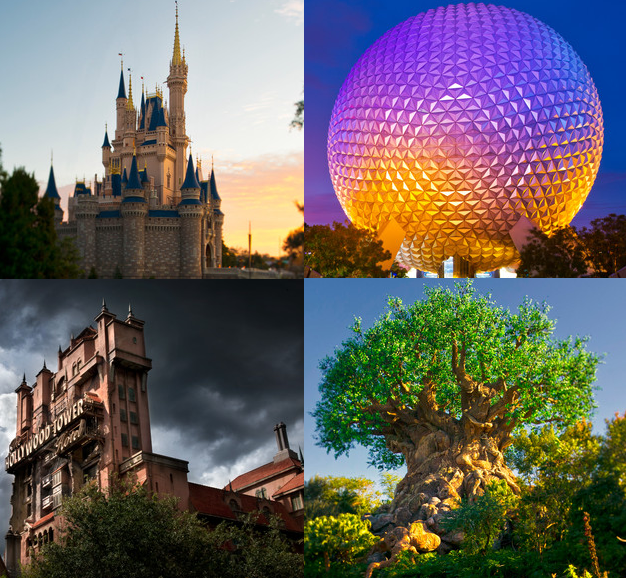 Walt Disney World – I am going to be in the happiest place on Earth in less than a week! Eating at Be Our Guest, riding all my favorite rides, enjoying some glorious 75 degree weather, a Star Wars dessert party…if that isn’t something to look forward to, I don’t know what is! I don’t have much else on the agenda for January – but I’m sure some thing(s) will pop up here and there. And honestly; isn’t a trip to Disney World enough to look forward to? I think so! That’s all for 2017 – and all the things that have kept me entertained – see you back here next year to do it all again! I had every intention of doing a Five on Friday post today…but then again, I also had every intention of today being a lot less hectic than it was. So, instead of the usual Five on Friday post…I just thought I’d share my Top Nine from Instagram. Row One – my little sister returns from her deployment to Jordan in October (my most liked picture…imagine that…), some baby black bears spotted on a drive through Shenandoah National Park and a teeny tiny row house in Old Town Alexandria. Row Two – My skinny Christmas tree, a snapshot of my new hair do back in September or October and this year’s office Halloween costume – my friends and I were ladies from Game of Thrones: Daenerys, Melisandre and Cersei! Row Three – Sipping some coffee while waiting to watch the finale of Sherlock back in January, Watson doing some video chatting with Lindsey while she was in Jordan and Watson taking a snooze under one of my (other) Christmas trees. So…for the final Friday of 2017, I hope everyone has a good New Year and enjoys this last Friday of 2017! A few snapshots from Watson’s Christmas – he enjoyed discovering that his stocking had been stuffed with some of his favorite treats, a hat and scarf and some poop bags (hey – sometimes Santa deals in needs as well as wants…). He lounged by the fire, had his very own bites of the Christmas lunch and all in all – had a pretty great Christmas. He’s a spoiled rotten little pup – to be sure. I love it in a way that makes me sad to see December 26th arrive because its the day on the calendar that places me farthest from Christmas..another 364 days until THE day arrives again. The weekend leading up to Christmas was filled with all kinds of goodness and time spent with family – I thought I’d share some (okay – a lot) of the pictures from the past weekend! I was gifted the day off work on Friday – which was unexpected and so very nice! I was able to sleep in, get in some much needed exercise (in an attempt to not completely give up on fitness during the holidays…) and finish watching Gunpowder before joining my family for lunch, grabbing last minute stocking stuffers and getting a brand new iPhone! Say hello to some better photos on the blog – yahoo! Friday evening my family and I went to tour Belle Grove Plantation – a friend recently did renovations of an outbuilding and the tickets were free – and the house is gorgeous; it was especially so all decorated for Christmas! The tour was self-guided and so we were able to peruse the rooms at our own pace and take in all the decorations. There was a harpist in the main parlor playing Christmas tunes and each of the rooms had decorations that were especially curated for the room – it was a unique experience and ended with some spiced tea and Christmas cookies, yum! Just a few of the multiple pictures I took – I’m a sucker for twinkling lights, greenery and all things Christmas adjacent, ha-ha! Saturday was a long day – but a good day. We took the metro into DC to check out the US Botanic Garden’s annual train display; this year it was themed to US Roadside Attractions, this display is always so fantastic – if you live near DC, it’s definitely worth checking out. The US Botanic Garden is beautiful year round but it’s especially magical during the holiday season! The main hall of the Botanic Garden contains replicas of DC landmarks and each one is made entirely from plant materials. There are; of course, huge Christmas trees on either end of the hall, dancing bear topiary and poinsettias abounding. Inside the train display, there are numerous recreations small and large that showcase roadside attractions throughout the United States – again, all created from natural plant materials. I’ve included just a few (seriously – I took so many pictures) of my favorites below. And for good measure – just a couple more from in and around the Botanic Gardens…because why not? We wandered over to the Capitol to snap a few pictures and then continued on to Union Station to see the tree given to the US by Norway. We also grabbed lunch at Shake Shack before hopping in a cab and making our way to the Willard to see their Christmas tree and gorgeous gingerbread house! The gingerbread house at the Willard was Mount Vernon and it was incredible – the details were so amazing; right down to the tiny eggplants and pumpkins in the garden! We did pop over to check out the National Christmas Tree – but we arrived at the tree at the same time that the downpour arrived; the wind started to whip and the rain was driving… so I snapped one rather crummy picture (the tree looks better at night anyway) before scampering for shelter nearby. We popped into the White House Visitor’s Center long enough to pick up some ornaments and then hopped the Metro out of DC and back home! My sister and I watched Elf and then we all gobbled up some pizza before heading to a Christmas Eve candlelight service that was reverent and peaceful, focused on the true meaning of Christmas. While a part of me is always a little concerned that someone is going to burn down the church during a candlelight service, another part of me loves seeing all the gently flickering flames and hearing voices raised together in the half light the candle provides. Our Christmas Eve tradition includes watching White Christmas and so we did just that before turning in for the night…Santa Claus can’t come until everyone is asleep, right? Christmas Day dawned bright – but not too early. We lit the last candle of Advent while sipping coffee and tea, perused our stockings to see what they’d been stuffed with and then exchanged gifts. I was abundantly blessed and I’m reminded every year at Christmas just how much so. After exchanging gifts, we had a delicious lunch and some people (not me) took afternoon naps. We all headed off the the movies to catch a late afternoon showing of The Last Jedi and rounded out the evening looking at some Christmas lights (although not as many as we’d hoped) and popping open some Christmas crackers! Another Christmas come and gone – a memory to be reminisced over for years to come. And now there are only five days left in this year of 2017…I suppose I should go make them memorable, huh? If you’re reading this – you’ve made it to the Friday before Christmas! Everyone celebrate! I am hopefully coming to you from the comfort of my home…fingers crossed. Ha-ha…just kidding. It’s actually Christmas Eve! I still have plenty of Christmas movies to get in before the big day itself! On Christmas Eve, we will be going to an evening candlelight service and then watching White Christmas – our tradition. Two. 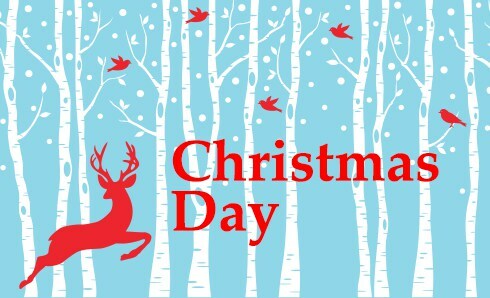 Christmas Day – One of; if not, my very favorite day of the year. Since moving to Virginia, our Christmas day has been a smaller affair with just the four people in my family but it’s still so wonderful! 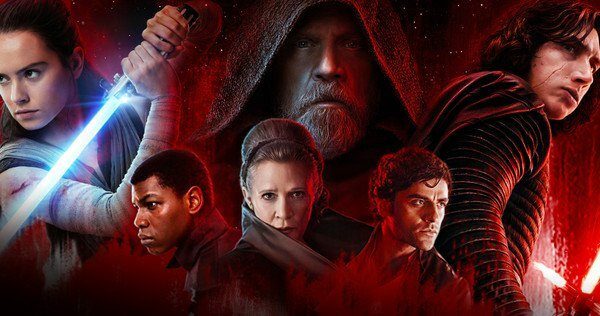 This year we’ll have breakfast together and exchange presents and just enjoy a leisurely morning…and in the afternoon we’ll head over to the Alamo to see The Last Jedi; which seems fitting since I was taught how to wield a “lightsaber” made from a wrapping paper tube. Three. New York, New York – We will be making a whirlwind trip to the city that never sleeps after Christmas; to take in the lights and sights, but also to catch Downton Abbey: The Exhibition! Myself and my family will cruise into NYC on the train early Wednesday morning, take in the sights and sounds of the city, check out the DA Exhibition and crash for the evening in the city that never sleeps. We’ll take in a few more sights on Thursday morning before catching the train back to DC – so you see; a whirlwind, but sure to be fun! Four. Two Weeks to Disney – I don’t think I’ve even wrapped my head around the fact that two weeks from today I’ll be boarding a plane bound for Orlando, FL! I have shirts for every day at the park (yes – I’m one of “those” people) and I cannot wait to spend a little more than a week taking in all things Disney! Sometimes the best thing in life is to be a kid again…and I don’t know of any other place better for doing just that! Five. For a Laugh – In honor of going to see The Last Jedi on Christmas Day; perhaps this last photo will give you a Christmas Eve giggle. I took a quiz…apparently I’m more drawn to the Dark Side than the Light… well; I do look good in red!